I'm sure I say this every month but where is this year going ? It's almost September! There seems to be a storm about to start raging outside and I'm about to tuck myself up in bed, type this post and then snuggle down. It might also be the first night I have to close my window fully. Crabtree and Evelyn Lily Hand cream - These seem to be a staple of blogger goodie bags and I can't for the life of my remeber where I got this from but i'm sure it came in a goodie bag. I was wary about the smell as I'm not keen on floral smells usually but this was present and went through this really quickly. If I didn't have so many other hand creams waiting to be used I would consider repurchasing this. Benefit They're Real - I'm really sad to see this mascara come to an end. I've had people comment on my lashes when I've worn it and the formula was nice and not too messy on me. I'd say it gives me more length than volume but it does give some volume. 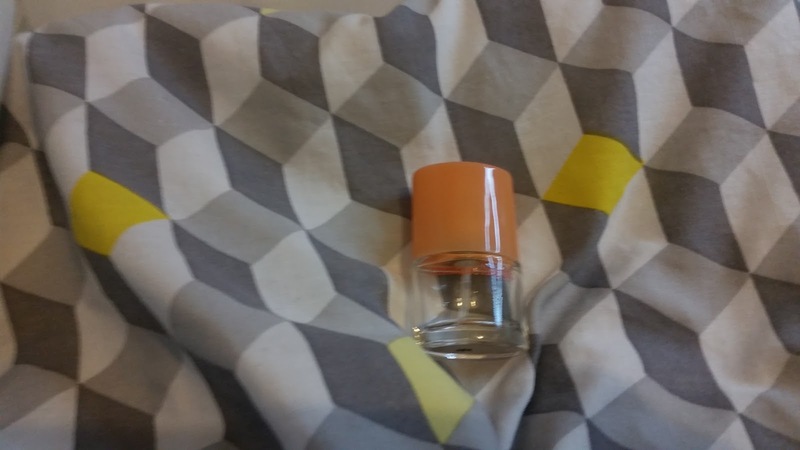 As with everything else I have a lot of mascara's to work through but if I found this on a good enough offer I would buy it again. Clinique Happy - I've had this and Happy Heart as part of a bonus time gift and I really liked both but I can't decide which I like best out of the two. I'm not sure I like it enough to buy a full size product but I would be more than happy to have another sample size in a bonus time gift. 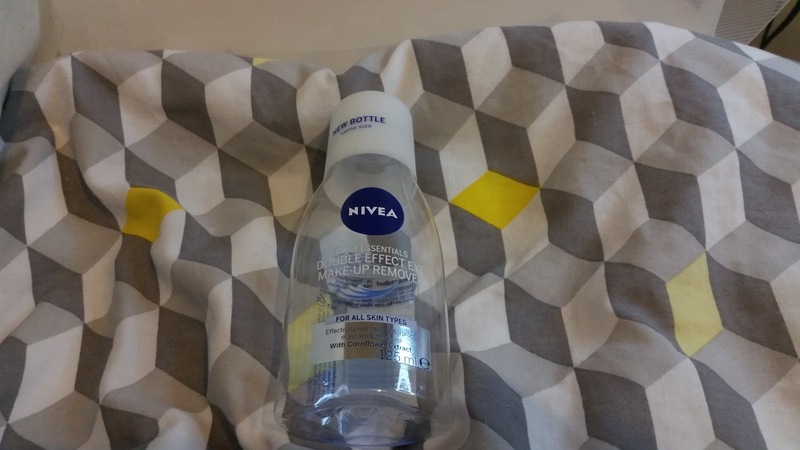 Nivea Double Effect Eye Makeup Remover - This product was kind of a fail for me. It's a two part mix that you have to shake well and I found that by the time I'd shaken and poured on to my cotton wool it had started to separate and it also took a little while to dissolve the eye make up. I held against my eye for a few seconds before wiping away but found I had to do it a few times before my make up was completely gone. It was fairly cheap and did do the job but I don't think I'd buy it again. 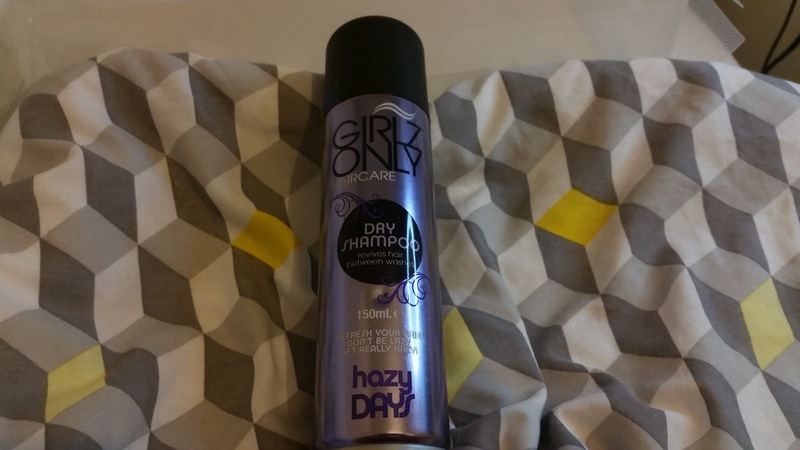 Girls Only Dry Shampoo - Apart from hating the brand name (It was cheap) this worked quite well. I had two of these and I liked one better than the other but I can't remember if it was the green one or this one that worked better. I wouldn't go out of my way to buy this again but might pick on up in a super skint month. 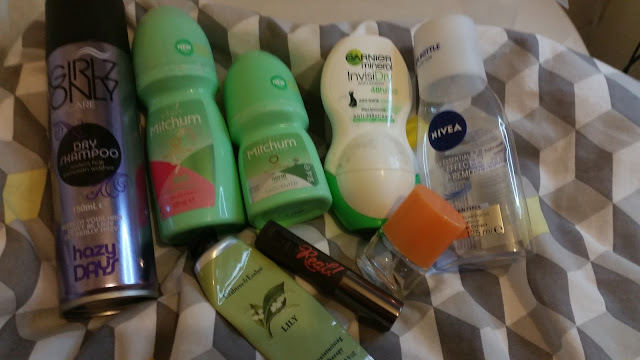 Deodorant - It's not been a super sweaty month I promise, I think I finished one just as I posted my last empties post and I always have two on the go in case one runs out unexpectedly! The one with the pink label, I've said before I don't feel loyal to a deodorant but since this one has finished I've missed it. I found it works really well and I'm going to buy another one this weekend. The other two - The Mitchum unscented. I've seen a few people mention it in empties / favourites posts but I didn't feel "safe" without a scent. 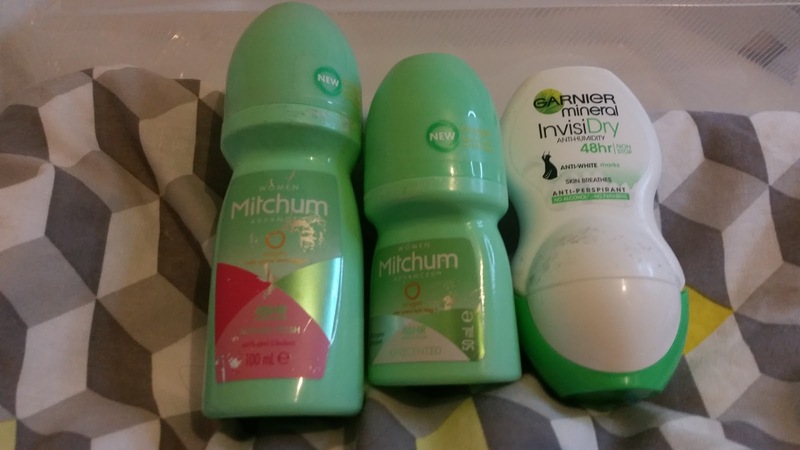 The Garnier Invisible Dry. This felt a bit too wet and I felt like I needed to reapply it a couple of times a day. A quite month really. I'm not sure the next month will be much different but watch this space!